As remarkable as Docker containers are, they still need to be heavily scheduled and orchestrated to run efficiently, and seamlessly replaced and re-balanced when they fail. It's a big job, well beyond the abilities of Chef, Puppet, and similar tools. 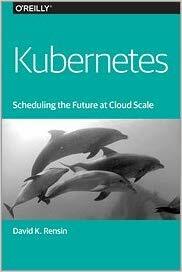 This book introduces you to Kubernetes, a cluster management system from Google that's capable of scheduling and launching roughly 7,000 containers a second. It explains piece-by-piece how this system works. If you've created at least one simple container with Docker, you'll understand how to get started with Kubernetes by using one of several options. Dave Rensin, Director of Global Cloud Support and Services at Google, also served as Senior Vice President of Products at Novitas Group, and Principal Solutions Architect at Amazon Web Services. As a technology entrepreneur, he co-founded and sold several businesses, including one for more than $1 billion. Dave is the principal inventor on 15 granted U.S. patents.